Jason Kidd, Milwaukee Bucks head coach and 7-handicap golfer, has just become the newest member to invest in the up and coming golf software, 18Birdies. Kidd joins Hall of Fame golfer Ernie Els and venture capitalist Peter Gotcher as primary investors in the smartphone application. 18Birdies is an app intended to assist golfers, improving the way they play and ultimately making the experience more enjoyable. 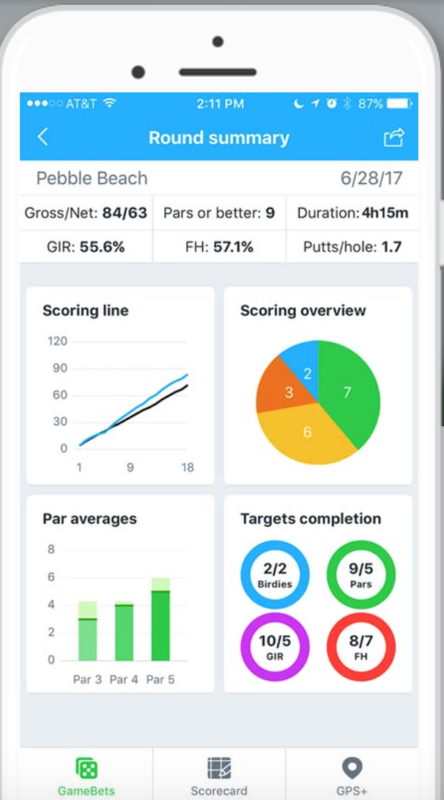 The application offers GPS shot tracking, a digital scorecard with stats and round history, as well as a virtual caddy with custom recommendations. Jason Kidd first used the app when paired with the CEO, Eddy Lui, at the American Century Championship pro-am tournament in Lake Tahoe. “I really liked the complete feature set that 18Birdies has. They have something for every skill level. Their GPS and distance tracking features really helped me plan my shots,” says Kidd. Just shortly after, Kidd decided to become one of the major investors in the company. In just a few short years, the company has been able to grow its user base within the golf community and ultimately is viewed as a technology that is going to change the way the game is played. For more information on the app, check out 18Birdies.com.